I'm excited to announce that I'm hosting my first giveaway on this blog! This is perfect for that family that wants to preschool at home but is on a really tight budget at the moment. I'd like to give one family a free copy of my 900+ page 45 homeschool preschool curriculum MEGA pack. Sign up below! To learn more about what is included in our curriculum, click here. Home CEO Academy is a social enterprise initiative of The Adsila Retreat, a 501(c)(3) not-for-profit whose mission is to encourage, equip and create educational products for leading humanitarian organizations and everyday humanitarians at home. All proceeds are used to deliver the programs and services for The Adsila Retreat. Home CEO Academy makes educational products for preschool homeschool Chief Education Officers at home and courses and publications for adults. For preschool, we currently offer an Age 2-3 and an Age 4 curriculum available for purchase and download at TeachersPayTeachers.com. Our Home CEO Age 2-3 curriculum provides 45 weeks of lesson plans and related materials broken into 5 units of 9 weeks each. The fifth unit is actually a series of nine "seasonal" weeks to intersperse throughout the preschool year. The weeks represent increasing skills and are designed to be done in sequential order. Our Home CEO Age 4 curriculum provides 30 weeks of lesson plans and related materials, broken into three "semesters. Semester 1, "Exploring Our World", is 12 weeks and takes parents and students on a journey to 12 different countries. Semester 2, "Exploring Our Earth", is nine weeks in length and explores various natural habitats, such as Arctic environments, rainforests, ponds, solar system and more. Semester 3, "Exploring Our Community", takes students on a journey through our community through units on various community helpers. There are bonus Thanksgiving and Christmas weeks available. NOTE: Our Age 4 unit is currently a growing bundle. Please note the delivery schedule in the TPT listing. 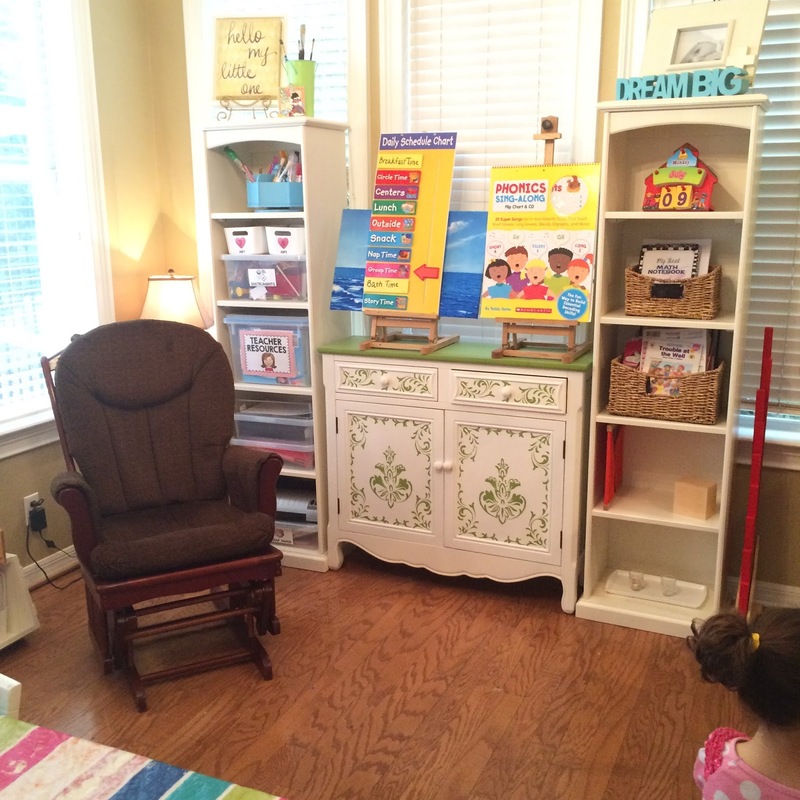 A preschool homechool classroom using our resources.